We are the 88 professional musicians who make up the internationally renowned, 28 Grammy award-winning Atlanta Symphony Orchestra. 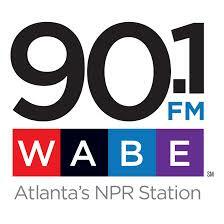 We are cultural ambassadors proudly providing Atlanta and Georgia with musical performances of the highest artistic caliber. The ATL Symphony Musicians have ratified a new four year agreement with the Atlanta Symphony Orchestra management. We are proud to have an agreement that includes a fixed complement of 88 musicians, steady pay increases and a new health insurance policy that contains an employer contribution to an HSA. We could not have weathered these difficult times without the incredible support from our donors and advocates. We have felt the love from all our supporters here in the Atlanta area, as well as stretching across the USA and beyond, and we look forward to everyone's continued support, for our work is certainly not done. 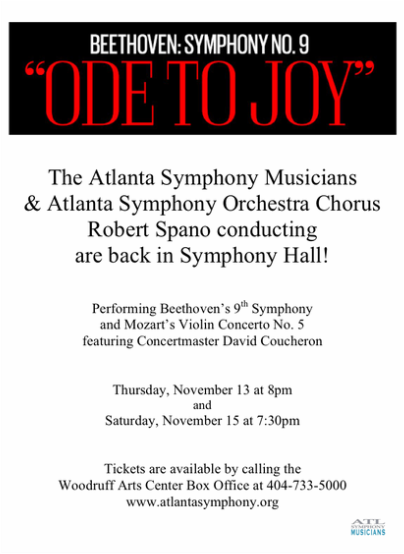 Please come to Symphony Hall to hear great symphonic music by your Atlanta Symphony Orchestra! The ASO Protests on Peachtree from Jim Zorn on Vimeo. We are truly thrilled by the public showing of support for Atlanta having a great Symphony Orchestra, and by the knowledge that we can achieve more than we have let ourselves believe possible. It will take all of us -- working, questioning, and advocating together, while the Orchestra is making great music -- to bring forth from the depths of the sacrifice and struggle that every one of us in the Atlanta Symphony Orchestra Players Association has experienced during the last two years this new day for the ASO. 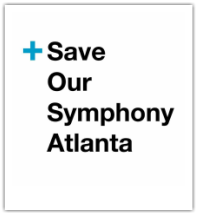 ﻿Sav﻿e Our Sy﻿mphony Atlanta is a non-profit citizens advocacy group, dedicated to the preservation of the Atlanta Symphony Orchestra, in perpetuity. Please follow them and encourage all your friends who support the ATL Symphony Musicians to follow us as soon as possible. This is critically important! As 2015 draws to a quick close, all of us would like to wish you a healthy, happy, and prosperous new year ahead. This year has brought many positive changes to the Atlanta Symphony Orchestra and we look forward to building on these successes as we enter 2016. We would like to thank all of the wonderful supporters in our community and across the country, our ASO Board and WAC Leadership, and the ASO staff including the team running ASO Presents which plays a vital role in the successful financial foundation of our organization. Working together, we have been able to restore many vital positions in the orchestra, increase attendance at our concerts, and produce a balanced budget for the first time in many years. Much work is still ahead for us as we enter 2016, and we are on the right path towards continued sustainability and restorative growth. Please join us for fabulous concerts in January, and if you would like to make a year-end tax-deductible donation to the Atlanta Symphony Orchestra, you may do so at www.aso.org. Donations go directly to the ASO Players' Association fund to help defray expenses related to the 2014 lockout, and to assist with emergency hardship funding for our musicians, but are not tax deductible. February 4, 2015, marks not only the 70th anniversary of the very first performance of the Atlanta Symphony Orchestra, but also Jane Little's 70th anniversary as a member of the ASO bass section. Just in case that wasn't a momentous enough occasion, February 2 was her birthday as well! Our own Michael Kurth arranged HAPPY BIRTHDAY in her honor like you've never heard before that we played at the beginning of the first rehearsal this week. Here's to Jane! Happy Birthday to the Atlanta Symphony Orchestra's very own Jane Little! Please join us in thanking Jane for her inspiring dedication to the Orchestra. Assistant Principal Bass Jane Little was a 1945 charter member of the original Atlanta Youth Symphony Orchestra, the forerunner of the Atlanta Symphony Orchestra. She joined after two years of studying bass in high school and has since played under all four of the Orchestra's music directors as well as guest conductors including Igor Stravinsky, Aaron Copland, Pierre Monteux, Leopold Stokowski, Sir John Barbirolli, and James Levine. An Atlanta native, she attended the University of Georgia and studied for four years with the principal bass player of the Chicago Symphony. She was Principal Bass with the Theater of the Stars orchestra for 15 years, and has played extensively with regional ballet and opera companies, as well as in touring performances of the American Ballet Theatre, Covent Garden Ballet, and Boris Goldovsky Opera Theatre. Ms. Little's instrument is a rare Carlo Giuseppi Testore bass (ca. 1705). It's here! Our 2015/16 season has finally been announced, and we are excited for what will surely be a blockbuster year. 2016 would have been Robert Shaw's 100th birthday, and we'll be celebrating his legacy in grand fashion--the Verdi Requiem, Beethoven Missa Solemnis, and a celebration concert of some of Mr. Shaw's favorite works culminate in our performance of the Brahms German Requiem in Atlanta and then Carnegie Hall on his birthday in April. Choose "Robert Shaw Legacy Celebration" to get your subscription to these concerts. Single tickets go on sale in August. WE VOTED ASO! ﻿ FOURTH PLACE FINISH! What a week! 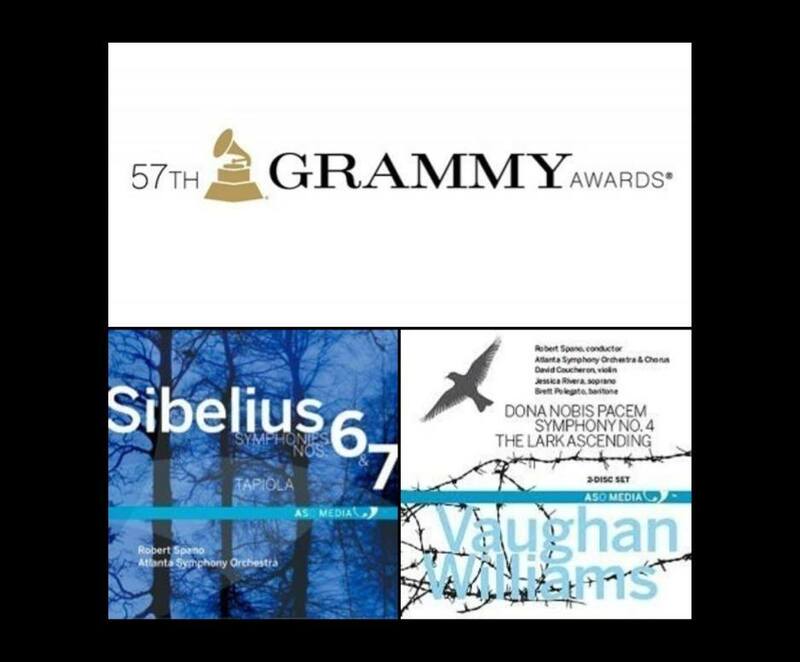 Not only is it the 70th anniversary of our first concert, but we're also up for three GRAMMY awards for our Sibelius and Vaughan Williams CDs! The winners will be announced Sunday afternoon before the telecast. Have you picked up your recording yet? Musicians reach tentative deal after 10 months of talks. After 10 months of discordant contract negotiations between Atlanta Symphony Orchestra management and musicians, including a two-month player lockout, resolution is at hand. The Federal Mediation and Conciliation Service, which restarted stalled talks a month ago, released a statement late Friday afternoon announcing a tentative accord between the two sides. Concerts are likely to resume Nov. 20-23. Though the statement did not provide details of the four-year pact, a source close to the negotiations confirmed that the sides compromised on the biggest issue, the size of the orchestra. The source did not want to be identified because terms are pending approval. 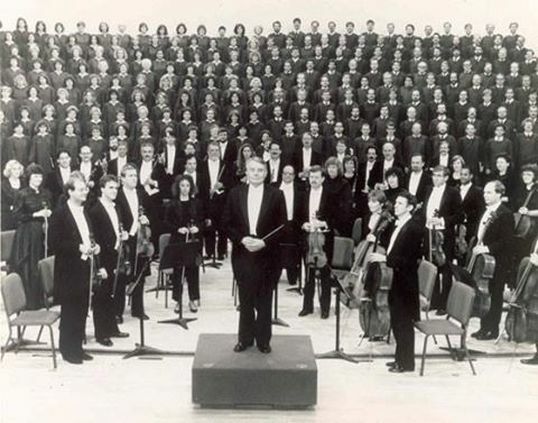 Assuming both sides OK the contract, the ASO, which was trimmed from 95 to 88 full-time players in the 2012 collective bargaining agreement, will start the delayed 70th anniversary season with the 77 remaining musicians. That would be the contracted number for the second year, 2015-16, as well, but management would have the goal of raising the “complement” to 81 full-time players. The administration would contractually commit to 84 full-time positions by the end of 2016-17 and a minimum of 88 in the fourth and final year. When the second musician lockout in two years began on Sept. 7, the musicians had proposed a complement of 84 in year one, rising to 86, 88 and 89 in subsequent years. Without committing to specific numbers, management had proposed a unique arrangement before the lockout in which it would negotiate with music director Robert Spano and musician representatives on whether and how individual musician positions would be filled as they became open. In cases where there was not a consensus, the administration would have had the final say. Pointing out that fixed complements are set in the contract of every major American orchestra, the musicians wanted no part of that. As they approach a negotiating session with a federal mediator on Wednesday, Atlanta Symphony Orchestra management and players are closer to a deal than they have been during a two-month musician lockout or in eight months of talks that preceded it. The question, with a tremendous amount riding on it, is if the two sides are close enough to finally reach accord on a collective bargaining agreement. If they can’t, expect additional cancellations on top of the eight concerts management called off in late September that would have launched the 70th anniversary season. There has been little cause for optimism in this extended, ugly dispute that has commanded national and international media attention. But the fact that the two sides are preparing to talk — through U.S. Federal Mediation and Conciliation Service mediator Richard Giacolone — can only be taken as positive. The negotiating team for the ASO and its parent nonprofit the Woodruff Arts Center (WAC) made a proposal on Oct. 24, to which the musicians countered Oct. 27. Management, which declined comment for this story as part of a news blackout requested by the mediator, didn’t outright reject it. In fact, after further consideration late last week, it believed there was enough of a glimmer of hope to ask Giacolone, whom both sides praise for making progress in the imbroglio, to return to Atlanta and resume mediation. The musicians are primed to receive an updated offer, knowing that differences will remain. In its most recent proposal, management held that the number of full-time musicians for the 2014-15 season should be cut from 88 to the 76 players who remain (after defections, retirements and deaths). It said it would launch a major fund-raising campaign to endow musician chairs with the goal to rebuild the size of the orchestra up to as many as 90 players. That pledge, however, was not promised as part of the proposed four-year contract. The ASO Players’ Association countered with a proposal of starting with 77 players and increasing the ranks incrementally to a minimum of 88 by the end of the 2017-18 season. The musicians are determined that required positions for the final two years be included in the contract. The musicians have said repeatedly throughout negotiations that further cuts to their ranks, requiring extensive use of part-time and fill-in players, would be a major setback to the sound of the 27-time Grammy-winning orchestra. Pay is the other issue still to be resolved. Management has not changed its offer of a graduated 4.5 percent raise over the four years. The musicians have moved from proposing a graduated 15 percent raise to one closer to 10 percent. If management believed that the numbers in the players’ last proposal would lead to a balanced budget, Atlantans might already be celebrating the return of the city’s largest arts institution. Instead, talks resume Wednesday — and continue Thursday if needed — in yet another stab at finding a shared path forward. The two sides in the Atlanta Symphony Orchestra labor dispute haven’t been able to agree on much as the musician lockout enters its fourth week. But the crossed signals reached a new level of confusion on Saturday night when the administration and players released contradictory statements about their acceptance — or lack thereof — of the help of a federal mediator to restart stalled negotiations. 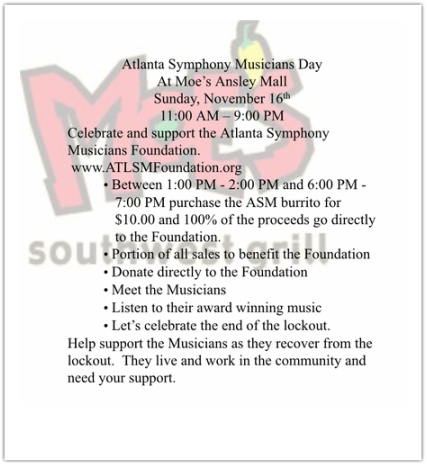 Early Saturday evening, an Atlanta Symphony Orchestra spokesperson emailed media a release that said that management and the ASO Players’ Association have agreed to resume collective bargaining agreement discussions using federal mediator Allison Beck. The two sides have not talked since the musicians were locked out when a new collective bargaining agreement could not be reached by midnight Sept. 7. Not so fast, leaders of the ASO Players’ Association responded in a statement of their own, issued just before midnight. That statement, signed by Players’ Association president Paul Murphy and vice president Daniel Laufer, said they had expressed interest in talking with Beck last Monday, to generally discuss questions about the mediation process, but had not heard from her and had not yet decided to participate. ATLANTA – The Board of Directors of the Atlanta Symphony Orchestra (ASO) today announced that Stanley Romanstein, Ph.D., has resigned as President and CEO of the Orchestra, effective immediately. Following Dr. Romanstein’s decision, the Executive Committee of the ASO Board appointed Terry Neal, a current ASO Board member and a retired executive of The Coca-Cola Company, to serve as president of the ASO on an interim basis. Mr. Neal will manage the day-to-day operations of the Orchestra until a permanent replacement can be found. Dr. Romanstein will be available to the organization through the end of October to assure a smooth transition. “I believe that my continued leadership of the ASO would be an impediment to our reaching a new labor agreement with the ASO’s musicians,” Dr. Romanstein said. The previous collective bargaining agreement between the ASO and the Atlanta Symphony Orchestra Players Association expired September 6. Virginia Hepner, president and CEO of the Woodruff Arts Center, said that Dr. Romanstein’s resignation does not change the financial challenges facing the Symphony nor signal any shift in the key issues being addressed in the collective bargaining agreement process. “The Atlanta Symphony Orchestra is a treasured part of our community,” Ms. Hepner said. “We want to make sure it can continue to flourish in the future. Ms. Hepner urged the musicians to resume negotiations with the ASO negotiating team so that a new agreement can be reached and the Symphony’s 70th season can begin. Last week, the ASO announced that, without a new collective bargaining agreement in place, it had cancelled concerts from opening night, September 25, through November 8. If a new contract is ratified before November 8, the Symphony will begin performances as soon as possible. Mr. Neal was elected to the ASO Board in 2013. As a long-time supporter and patron of the Symphony, he has been an active participant in ASO fundraising and marketing efforts. Since his election to the ASO Board, he has represented the ASO on Arts Center-wide development initiatives. Mr. Neal retired from The Coca-Cola Company in 2009 after 30 years, most recently serving as Vice President of the Latin America Group and Director of Customer Development. Throughout his career, both domestically and internationally, his focus was on building collaborative business relationships with large, complex customers and developing the capabilities of senior level account directors. And it is increasingly clear that the WAC is the real force behind the lockout. This is hardly a new idea; the notion that the WAC is managing (or to be frank, mismanaging) the lockout is widely discussed around the country, including by the New York Times’ Michael Cooper. So for good or for bad, I think we can all agree that the real power broker here is the WAC. And that raises a question. If the real power lies with the WAC board, does Romanstein’s departure mean anything? It is simply a quick public relations move designed to create a sense of momentum? Or a delaying tactic? Was he simply cast off for being unable to control the situation? Will the WAC become more directly involved, or start to act more openly? It is far too early to tell. But it does mean the WAC bears close scrutiny. After being silent during the 2012 lockout, Spano has become vocal in his support of the musicians. 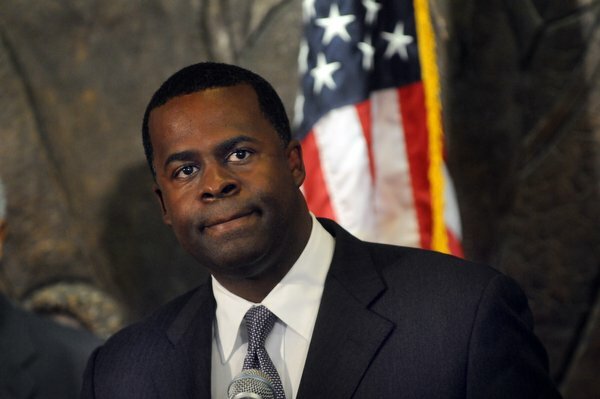 Three weeks after the Atlanta Symphony Orchestra’s management locked musicians out of symphony facilities, Atlanta Mayor Kasim Reed and ASO music director Robert Spano both released statements today that plead for a resolution to the conflict. While no new negotiations are taking place, the musicians agreed earlier this week to work with a federal mediator, as suggested by ASO management. Reed’s senior adviser, Melissa Mullinax, said she is trying to schedule a meeting between Reed and Spano, and perhaps representatives of the musicians, next week. While Reed acknowledged that the ASO is facing significant challenges — diminished financial support for orchestras from both public and private funding sources — that have forced many orchestras across the country to cut costs and adjust their operating models, he appealed for musicians and management to work together. The musicians of the Atlanta Symphony Orchestra were wearing black, which would have been appropriate for Thursday night’s scheduled opening concert of its 70th anniversary season. But the concert was cancelled earlier this week, another development in a whirlwind three-week lockout of the players by management of the orchestra and its parent nonprofit, the Woodruff Arts Center, that went into effect after the two sides failed to reach an accord on a new collective bargaining agreement. Instead, the musicians donned their tuxes and gowns for a wordless demonstration that they dubbed “A Deafening Silence” on Callaway Plaza, outside the 15th Street entrance to the Woodruff Arts Center (WAC). Though many carried their instrument cases, there was no music, no speeches, just applause in support of the players. The nearly half-hour protest was solemn, feeling more like a funeral, where black also is appropriate. When it ended and there were many quiet hugs, they seemed like the reassuring embraces of mourners rather than those of comrades in a cause. Eric Sjöström "Today we (The Musicians of the Minnesota Orchestra) voted to send a lead gift of $16,000 to the Musicians of the Atlanta Symphony, symbolizing $1,000 per month of lock out from October 2012 through January 2014. We survived the siege with tremendous support from ICSOM, along with many other believers in great music!" 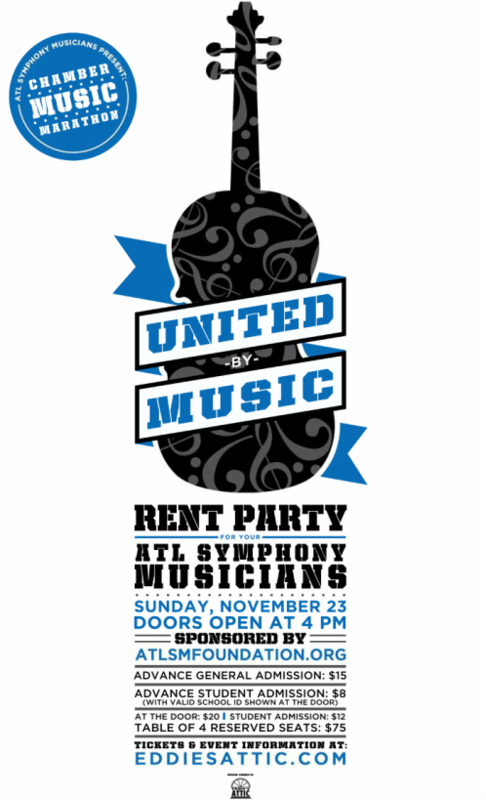 The musicians of the Atlanta Symphony need our financial support. We ask, and encourage, all the orchestras of ICSOM to consider making a financial donation to the cause. A donation from your treasury, or a collection taken by the members of your Players' Association, would be of great assistance. We are confident that all of the musicians in our ICSOM orchestras are eager to stand with their colleagues in Atlanta. Wherever an orchestra is in trouble, let us all respond. Wherever a musician is in need, let us all respond. Wherever a negative image of the arts is produced, let us answer with a positive message of hope. As they hear our music, let them also hear our voices. Let this serve as another "Call to Action" for our membership. What happens in Atlanta will affect us all. If we effectively respond to every Call to Action, we will demonstrate the power in collective action. We can and will make a powerful statement to our managements and boards as we work to spread the positive community message of the musicians of ICSOM. There are two sides to this. To say that the orchestra must have 106 full-time positions at a nationally competitive salary, or 96, or 86, may or may not be right. To say that any compromise along this axis is the end of the orchestra is surely wrong. But it is the essence of the importance of a collective bargaining agreement that it should ensure the voice of the musicians in decisions about the size and scope of the organization. In Detroit, as in Minneapolis, there were important voices saying that it didn't matter if leading musicians left the orchestra. To say that any loss of musicians decimates the orchestra would also be wrong. Orchestras are constantly renewing themselves, and even the most legendary players leave, and become part of a legendary history. But there is a fulcrum, and when too many are leaving, the seesaw flips with a vengeance. Robert Spano has had a particular genius for finding the best young brass players, and orchestras including the Chicago Symphony and the New York and Los Angeles Philharmonics have consistently recruited from Atlanta. This is a healthy thing for an orchestra in Atlanta's position. If the top young talent cannot be recruited, because they understand that Atlanta might no longer be the perfect place to incubate their skills, then something infinitely precious is being squandered. It's hard to have faith that the leadership of the Woodruff Center understands any of this. What is needed, in Atlanta and everywhere, is the recognition that all sides play a part. It's how philanthropy works -- a partnership, an investment, a shared good. It's how artistry works. Dare I say, it's how excellent management works. A lockout is an enforcement of silence. It doesn't work. When the well-regarded Atlanta Symphony Orchestra locked out its musicians in a labor dispute for the second time in two years and then announced this week that it was canceling the beginning of its 70th-anniversary season, its music director, Robert Spano, found himself worrying about what the silencing of the ensemble would mean for Atlanta. On Monday, September 22, 2014, the Atlanta Symphony Orchestra announced it was calling off its season-opening concert, set for September 25, and all other concerts through November 8, 2014. The orchestra and its musicians have been unable to reach a contract agreement, and the musicians have been locked out since the expiration of their previous contract on September 6. After the ASO announced the cancellations, the Players Association announced some of its members will perform a concert double-header at Kennesaw State University on Friday, September 26, 2014--with more community concerts in the works.